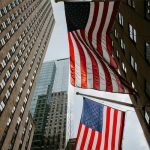 Do you like shopping from USA stores but many of them will not ship outside the United States? Are you a frequent travelers, entrepreneurs, attorney or expats? An ambitious business owner, a company which seeks overseas presence, or home-based businesses? 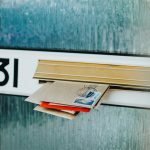 Renting a PO Box from the National Postal Service provider is the most classic option to have a mailing address. However, it is full of hustles and it does not provide mail delivery on particular days. Above all, the service may be expensive and not highly secured. You will definitely suffer from some delays in the mailing process. Another option is to get a PO Box from a Postal Service approved provider. However, it may be a little expensive. In addition, you will always need to check over holidays mailing deadlines, seasonal post office hours, collection schedules, and security tips; in order to avoid any fraud or malicious hoaxes. 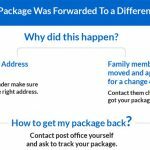 Forward shipping companies are another solution to receive mail and packages; if you are moving around or interested in shopping. There are many shipping companies, based in various locations all over the world and have offices that covers nearly most of the world. The local offices of these companies receive your postal mail and then you can pick it when it arrives. 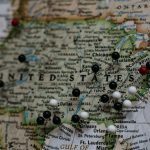 You can use their local offices in the shipping processes too, but they can be highly expensive. Or, you can choose to cope with modern technology and pick a more smart solution… Get introduced to virtual mail forwarding! Virtual mail forwarding service is your affordable and stress-free option of shopping and shipping from the USA. You can ship packages and receive them wherever you are. 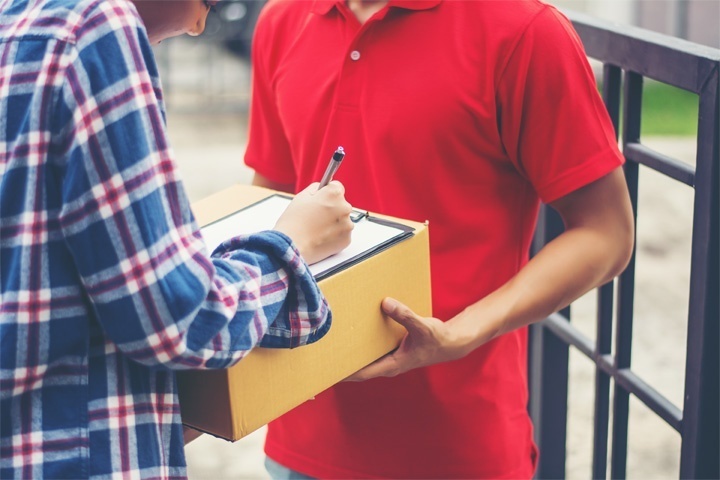 You can also store your parcels or forward them directly to your door. The mail forwarding enables you to receive a real US address for online shopping, it is not a PO Box. A US virtual shipping address gives you access to great deals form USA online retailers. You can enjoy fast processing of your shipments and free storage of your packages. Your shipment can be tracked and you can receive packages from all couriers. Provide your US address for your order delivery. Use a U.S. Street Address for shopping from any US store. Shop from thousands of online retailer and auction sites. Virtual mailbox service providers notify you upon receiving your packages and you choose to forward or store them. You can enjoy other smart solutions like consolidating small packages into one to get better cost and receiving competitive shipping rates. You can always enjoy online package tracking to ensure the security of your package forwarding. 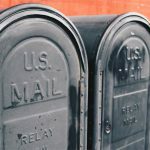 Read How to Find Lost USPS Mail or Packages? Virtual Mail Forwarding vs Classic Shipping. Classical post services can be more expensive specially with shipping internationally. They take longer time and they are not totally secured. On the other hand Virtual mail services are cost-effective, and guarantee the speed and security of shipping and packages forwarding. 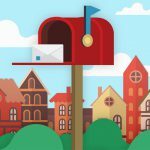 Top reasons why shipping through virtual mail address is way more effective than classic shipping options? The moment you first sign up to a virtual mail forwarding service, all the pain will be taken out of your shopping and shipping from the USA experience. Signing up to a mail forwarding service is convenient and it does not take more than five minutes. Mail forwarding minimizes the possibility of your packages getting lost. Above all, it is the best way to check your mail and receive it wherever you are. The immediate access to your mail makes it handy, time saver and economizing. Classic shipping services are expensive! On the other hand it is cost effective. Mail forwarding provides you with innovative solutions to manage your personal budget in a better and more economized way. It comes with a smart package of mail solutions to help you economize and achieve impressive results. Virtual mail forwarding enables you to ship your packages whenever you are. Virtual mail forwarding services ensure that you will be able to deal with your shopping immediately whenever you desire and from any place. This is definitely a quality a PO BOX will never cover for you. Traditional post services can be very nice to exchange letters with pen pals and seasonal postal cards. However, we do not favor them once it comes to shipping internationally. They also take longer period and they are not totally secured. However, virtual mail forwarding guarantees the speed and security of the mailing process. You can also choose to store your parcels or forward them directly to your door… They are never lost of thrown away. Digital mail forwarding handles your packages with high security and privacy. The smart service enables you to shop from the USA wherever you are. It offers you a more secured service, when compared to traditional mail. 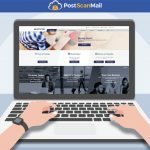 While traditional post services can be more expensive to make shopping and forward your packages from the USA, virtual mail is cost effective, and it guarantees the speed and security of the mail forwarding service process. A virtual address enables you to benefit from all deals and enjoy shopping online. You can enjoy all offers and seasonal promotions which do not support shipping to your country. Receiving and shipping parcels and packages are with no doubt way easier through virtual mail. You can choose to store your parcels or forward them directly to your door. A virtual shipping address grants you free storage and a fast shipping process. You can track all your packages till they arrive at your place. Your virtual shipping address is a real address not just a mail box. It provides you with real competitive shipping deals. Moreover, it brings together your small packages into one. Track your packages and provides you with an ultimate level of privacy and security.